Chinese and Indian soldiers have been locked in a face-off in the Doklam area of the Sikkim sector for over a month. Beijing: The Chinese Army moved tens of thousands of tonnes of military hardware into the remote mountainous Tibet region after the standoff with Indian troops in the Doklam area in the Sikkim sector, the mouthpiece of the PLA said on Wednesday. The vast haul was transported to a region south of the Kunlun Mountains in northern Tibet by the Western Theatre Command - which oversees the restive regions of Xinjiang and Tibet, and handles border issues with India, reported the PLA Daily, the official mouthpiece of Chinese military. China's state-run media has stepped up its rhetoric against India in recent weeks but there was no way to confirm the veracity of such claims. Early this week, state-run CCTV had broadcast People's Liberation Army troops taking part in heavy military exercises using live ammunition on the Tibetan plateau. 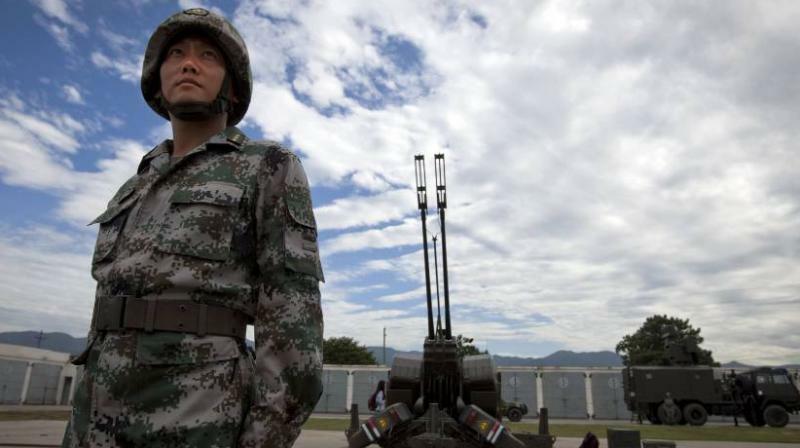 The location was not far from the disputed Doklam area where Chinese and Indian troops are locked in a standoff, the Hong-Kong based South China Morning Post reported. The PLA Daily report, however, did not say whether the movement of the military equipment was to support the exercise or for other reasons. "Military operations are all about logistics," he said. "Now there is much better logistics support to the Tibet region." New Delhi has expressed concern over the road building, apprehending that it may allow Chinese troops to cut India's access to its northeastern states.